For thousands of years, man has looked to birds as messengers, but what message are our feathered friends sending when they fall out of the sky en masse? Is it a warning of the end of the world? A sign of an environmental toxin? More than 40 birds fell from the sky in Boston, leaving city officials and residents baffled. 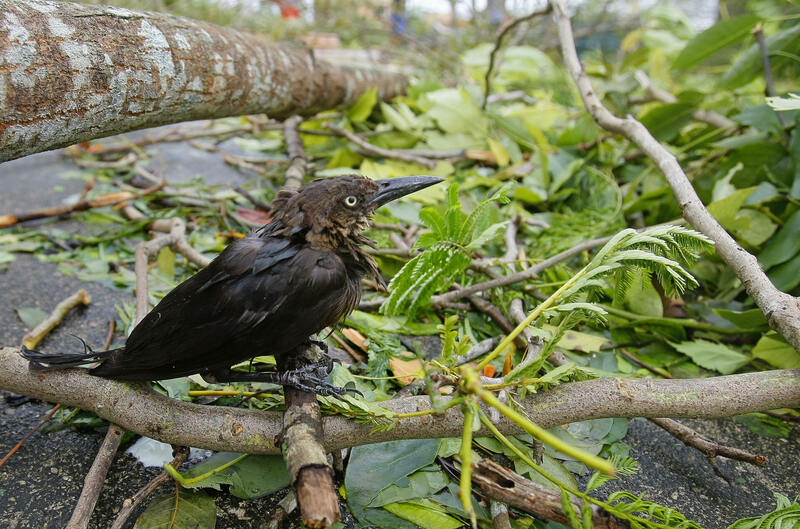 A total of 47 Grackles, a member of the American blackbird family, fell from the sky and trees near an apartment complex on Bakersfield Street in Boston's Dorchester neighborhood. It was a worrisome mystery to residents who stepped outside to find their streets and lawns littered with the lifeless creatures. The Grackles were all reportedly taken ill within a few hours of each other. While no other birds in the area appeared to be ill, officials are investigating whether the illnesses of three cats (two of which died) in the neighborhood are related, according to the New York Daily News. The Animal Rescue League of Boston, which responded to a call regarding the birds and a sick cat from a Dorchester resident, described the birds as "either falling to the ground, sick, thrashing and unable to fly, or were found unresponsive." The rescue organization reported finding 12 birds dead at the scene. Another 35 sick Grackles were removed for treatment, with eight of those reportedly dying before reaching the veterinary team and another 12 having to be euthanized due to the severity of their condition. Only 15 birds were able to be saved. Officials are currently unsure why the birds fell ill or whether their deaths are the result of a fast-acting disease, environmental toxin, or poisoning. The surviving birds are currently being treated at Tufts Wildlife Center, where officials are hoping test results due next week will shine some light on the situation. While the incident is certainly a mystery now, there are plenty of heads working together on the issue. The Animal Rescue League of Boston is working with the State Department of Agriculture, the Massachusetts Department of Public Health, the City of Boston Inspectional Services Department, and Boston's Public Health Commission to uncover what caused the Grackles to fall from the sky. While news of birds falling from the sky often gets people talking (and, consequently, worrying), it's a fairly common occurrence. In 2012, blackbirds fell from the sky for the second year in a row in Arkansas. Flocks dropped dead in Australia and, a week later, in Texas in 2007. In 2009, Australia saw another few hundred birds fall from the sky dead, which happened just six months after an estimated 5,000 birds were killed by a pesticide in New Jersey. As odd as Thursday's occurrence in Dorchester was, the real conundrum just might be figuring out why this frequently happens around the world.